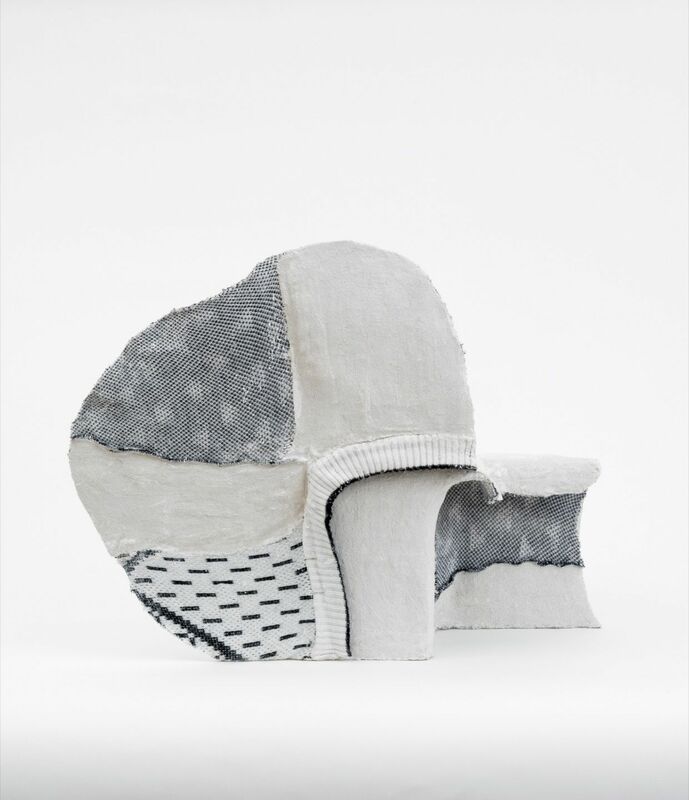 Nicelle Beauchene Gallery is pleased to present Feels Like Telepathy, the gallery’s first solo exhibition of works by Jennifer Paige Cohen. 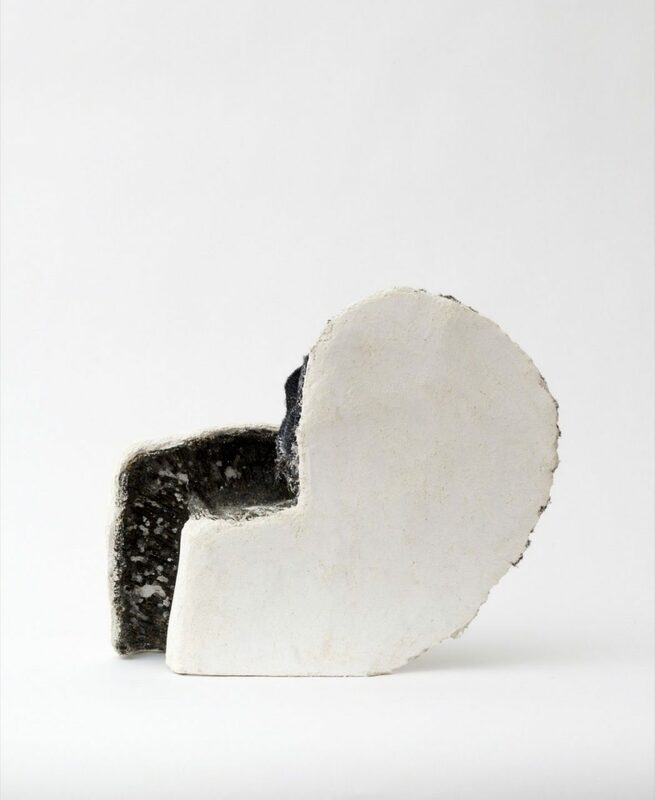 Deftly playing between the territories of the figurative and the abstract, Cohen’s sculptures draw attention to the constructions and productions of gesture. 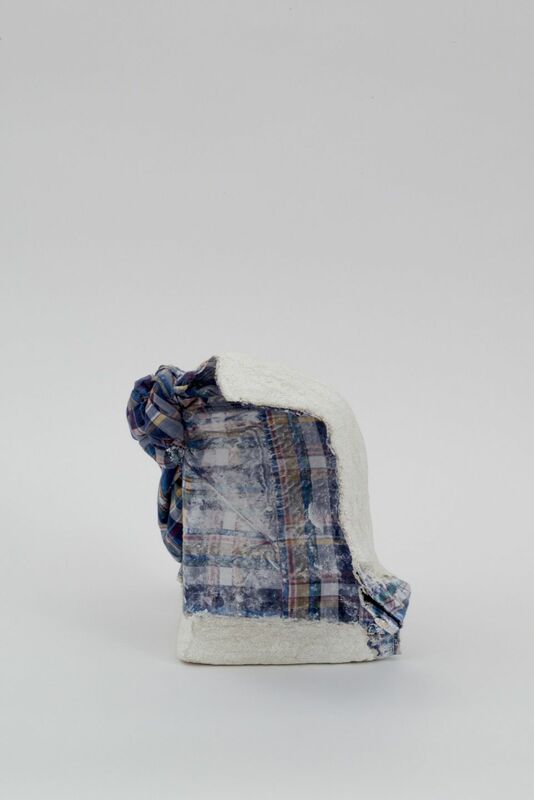 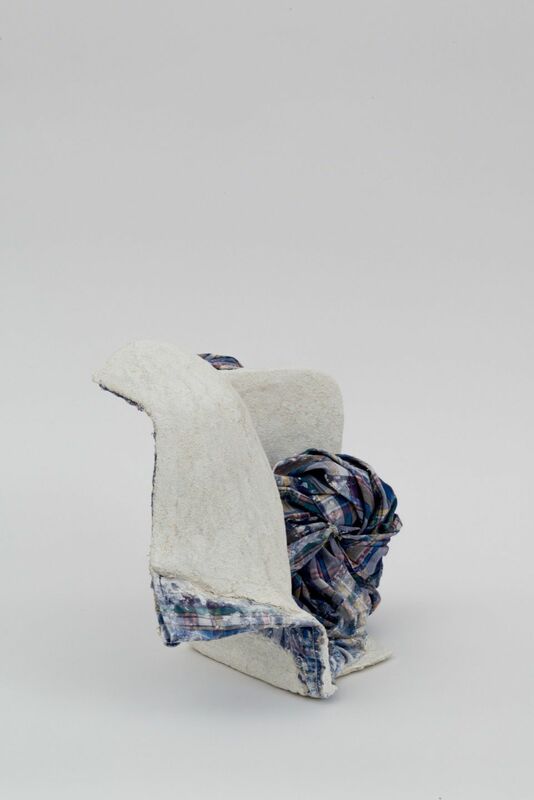 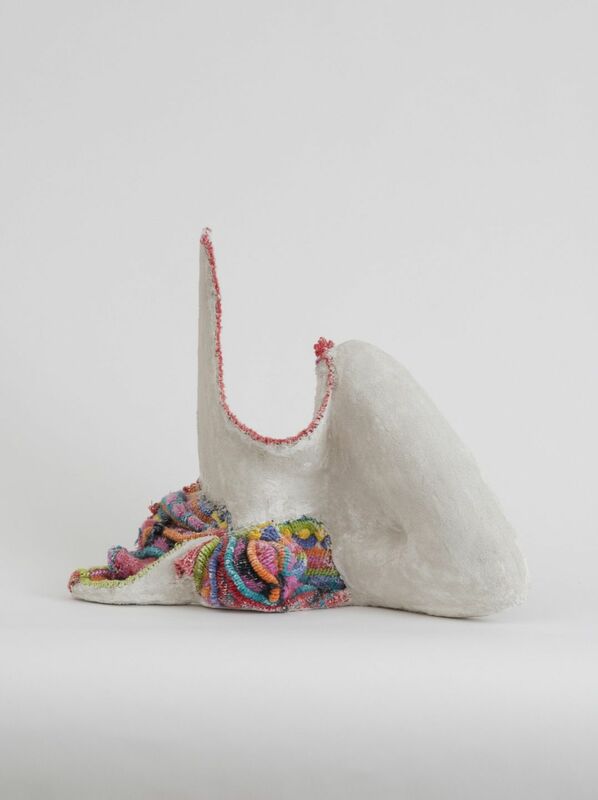 The artist casts plaster and found clothing over isolated parts of her own body and those of close friends. 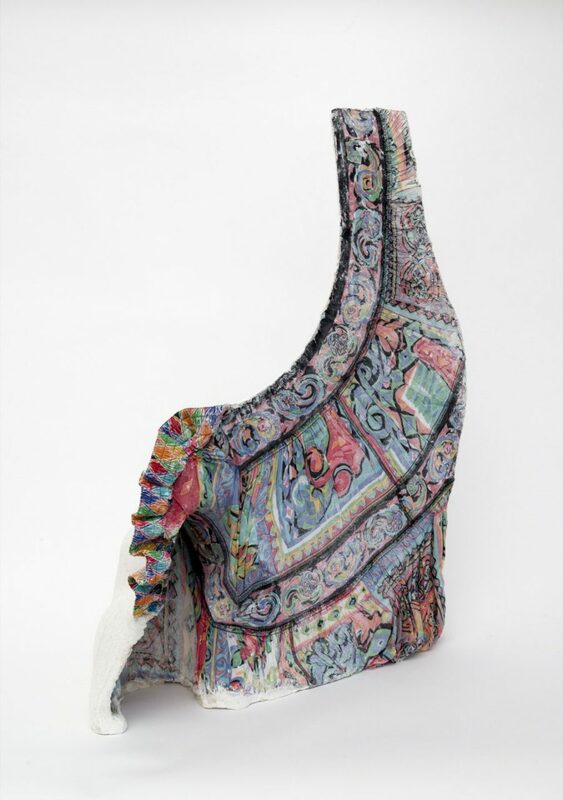 The impression of a single shoulder, a knee, or an elbow – enlivened by the colors, textures and patterns of oddball sweaters, trousers, and blouses – materializes both the presence and absence of an otherwise unidentified sitter. 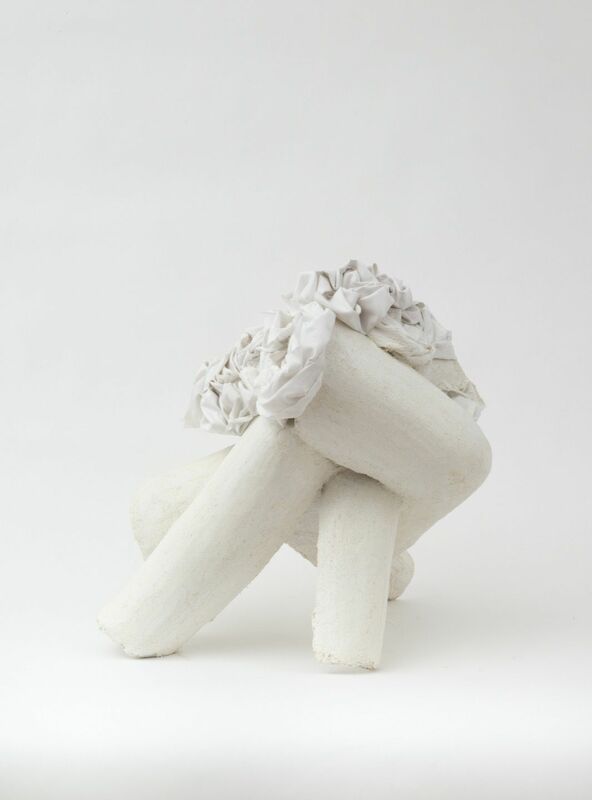 These unexpectedly heartbreaking works – strong, sensual – unhinge the distinctions between interior and exterior, and point to the complex dynamics that always entwine physical and psychological states. 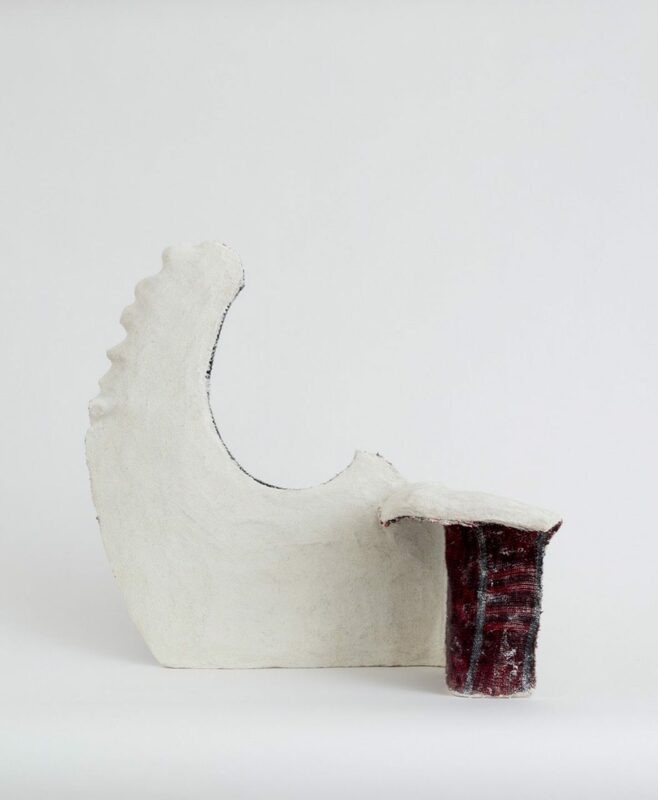 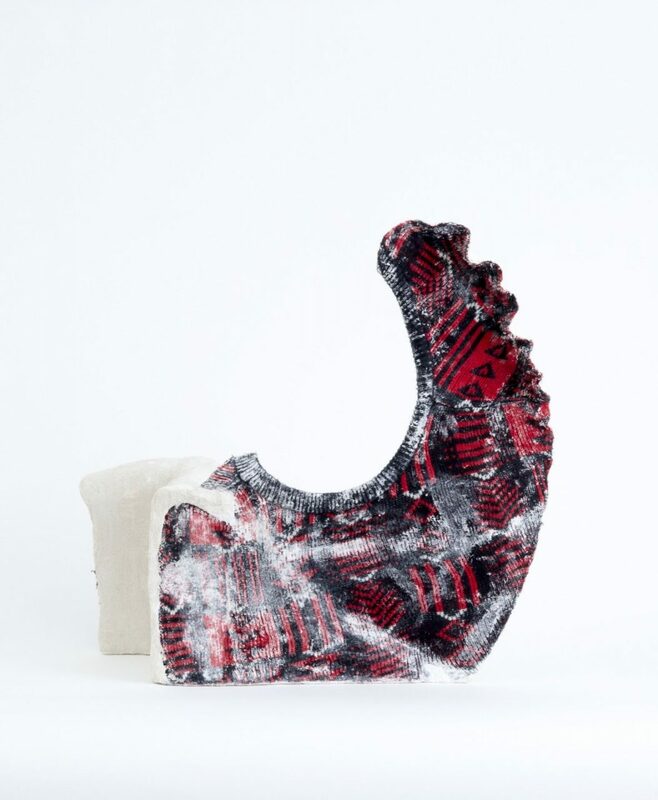 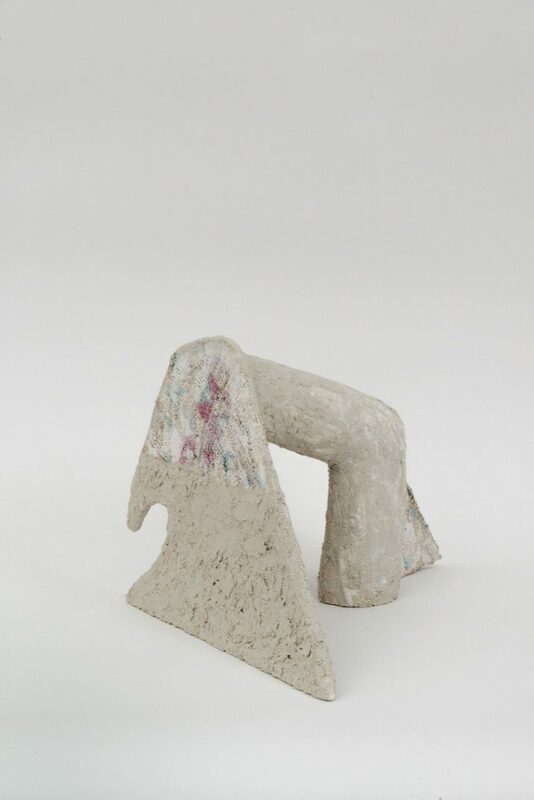 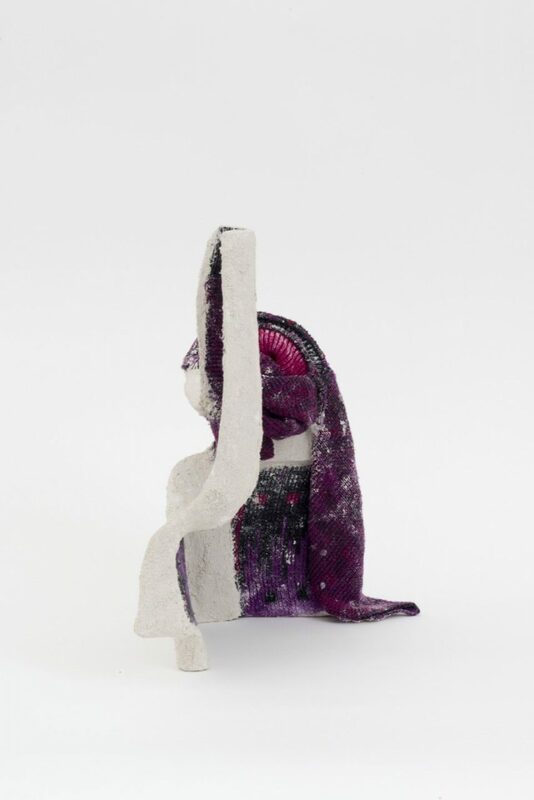 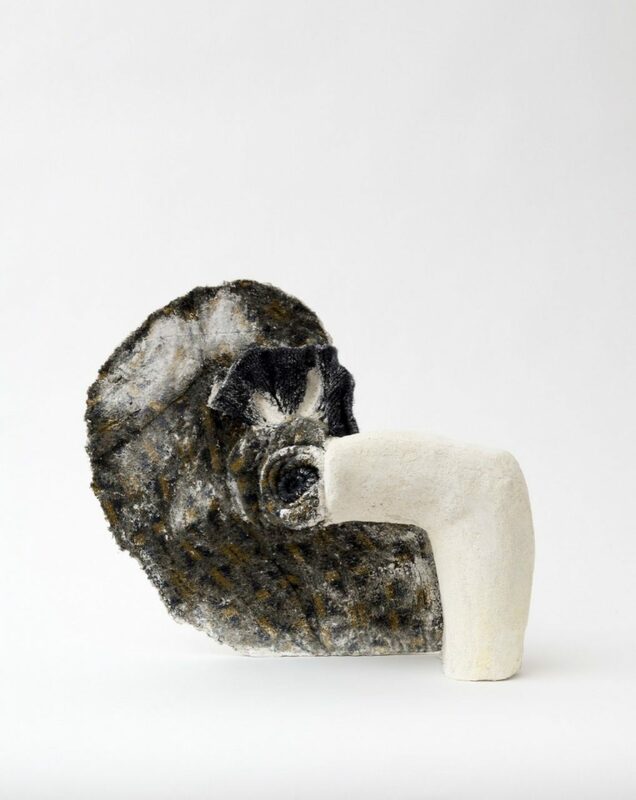 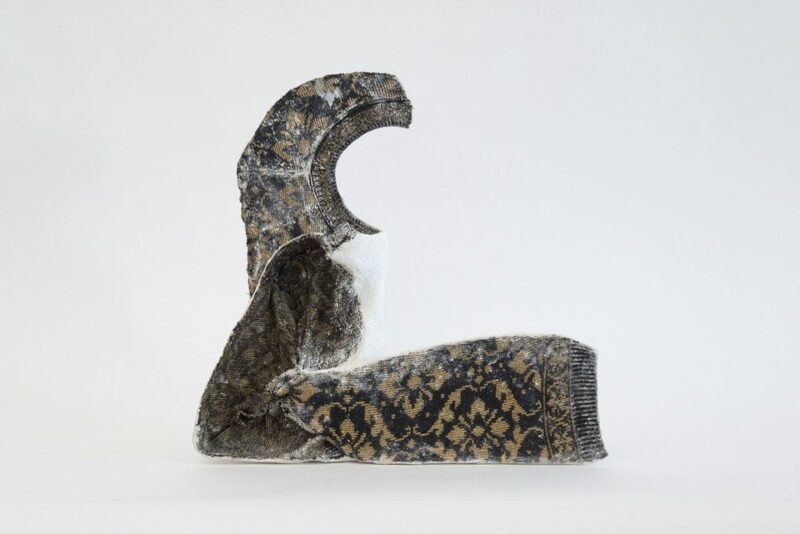 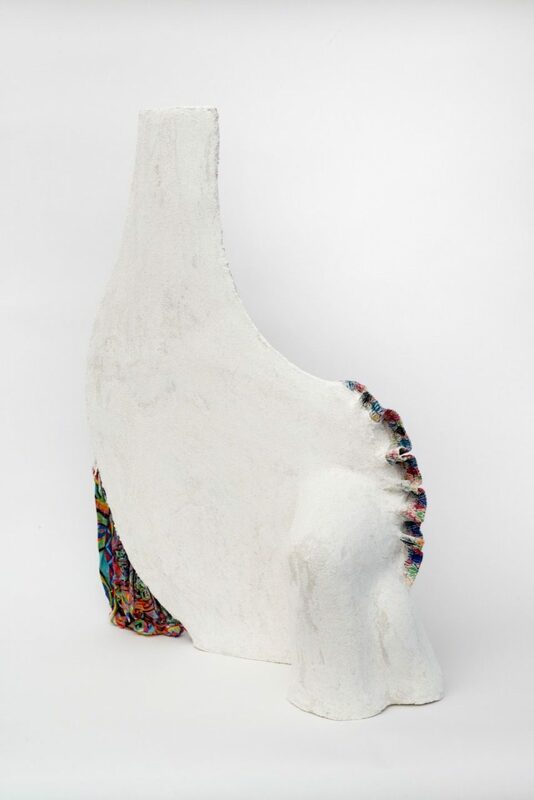 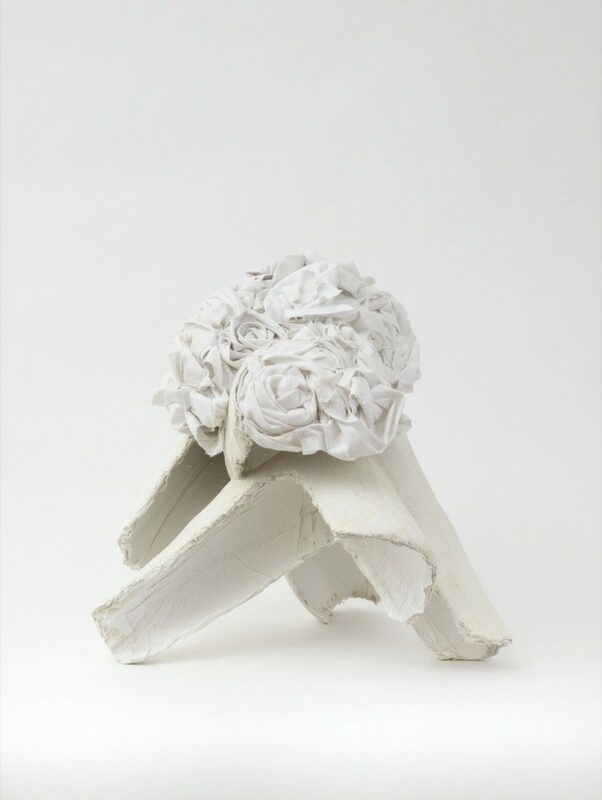 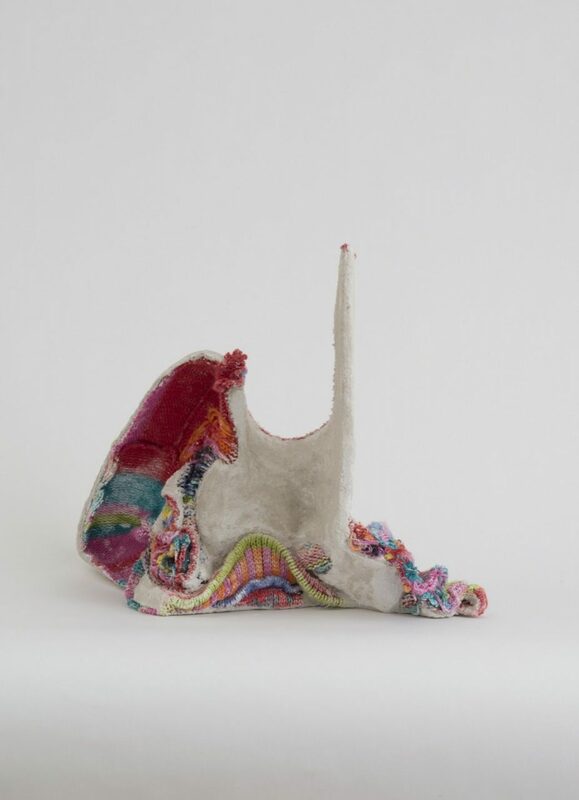 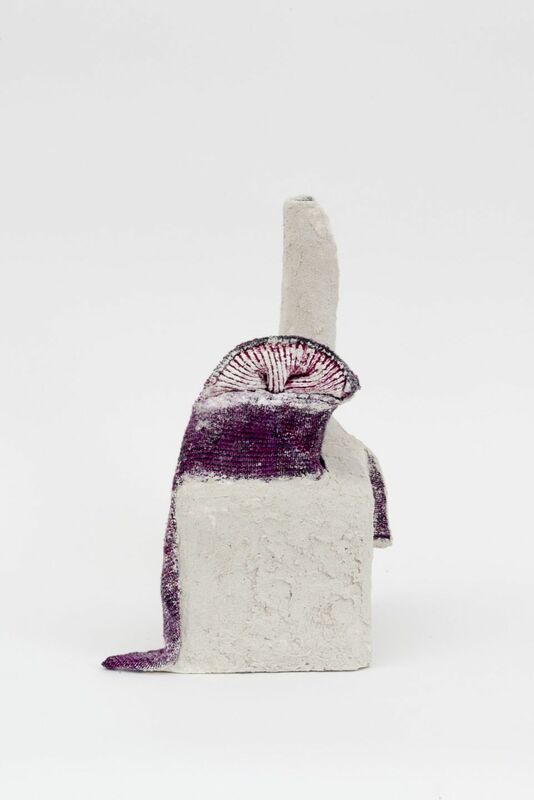 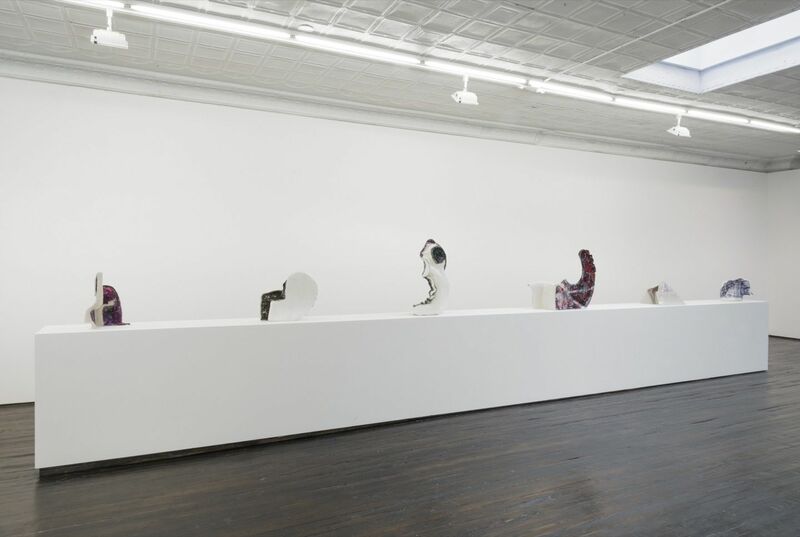 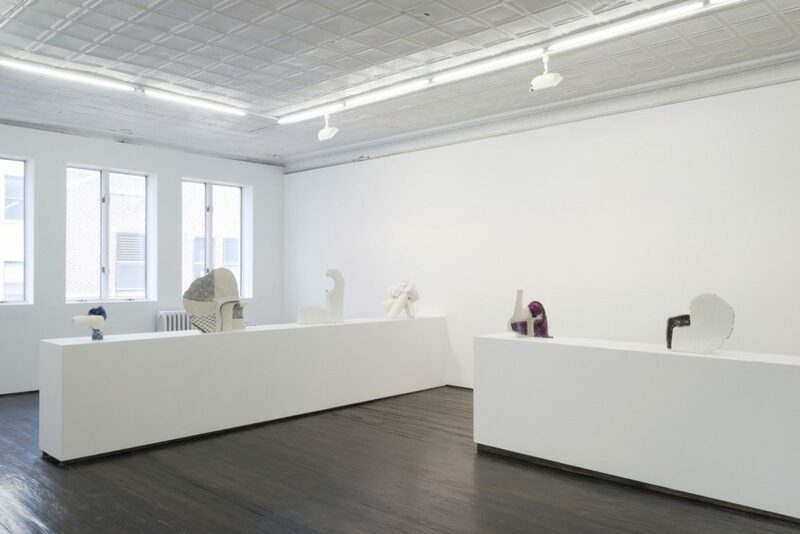 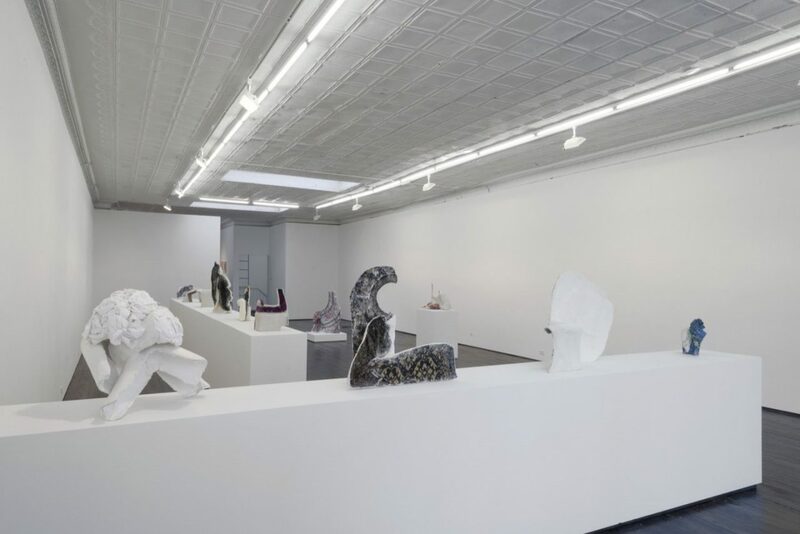 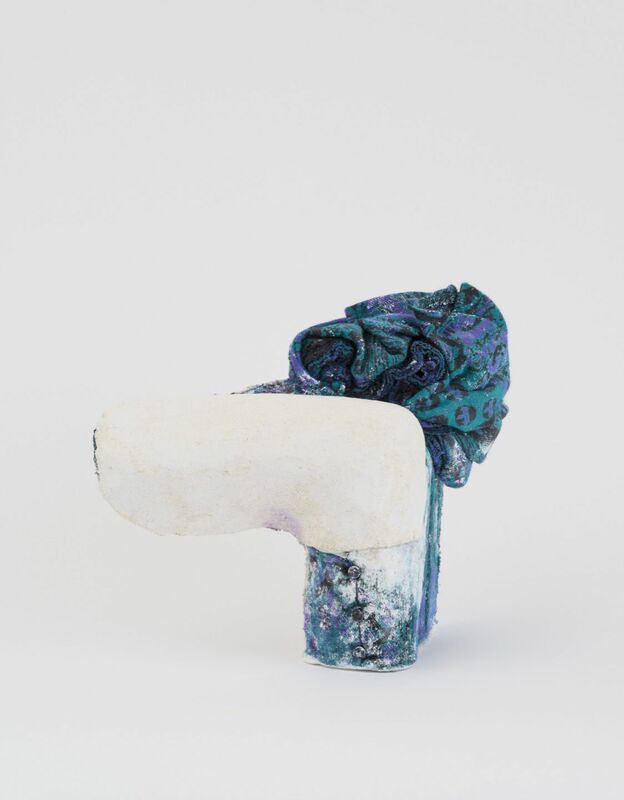 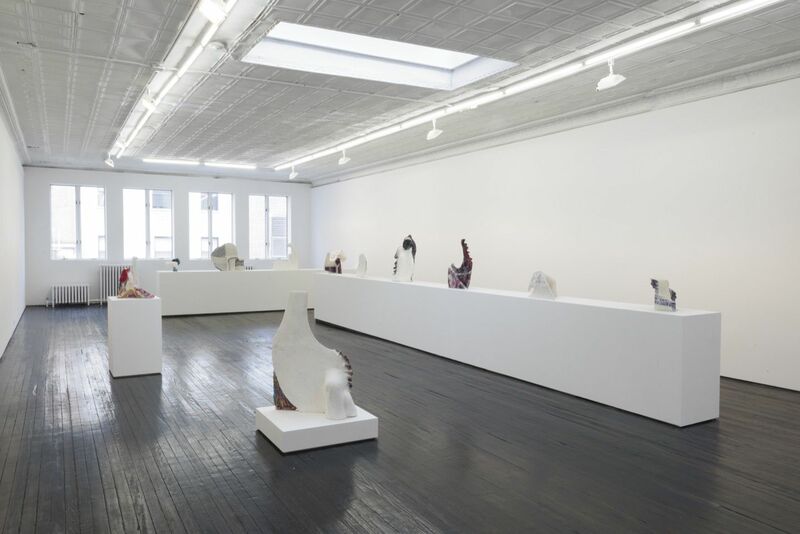 Cohen’s sculptures also reflect her ongoing interrogations regarding the body’s shared systems of intuition, understanding and the power of the hand to heal and transform matter. 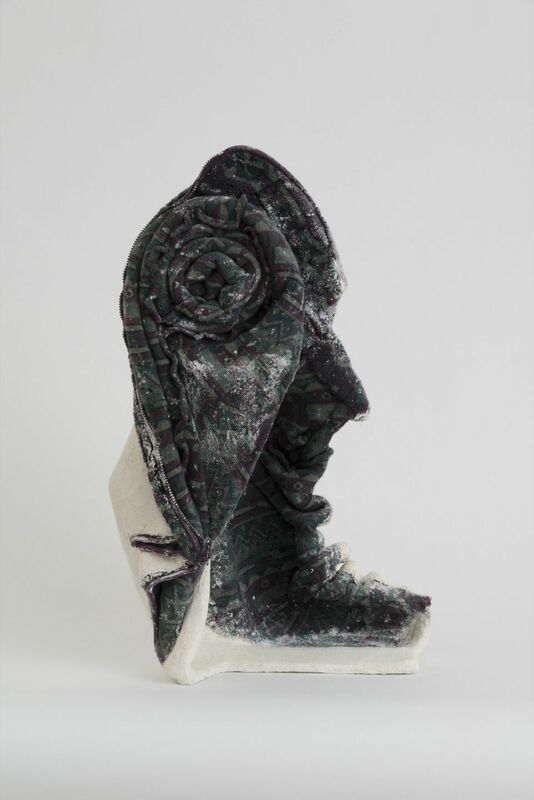 What are the physical means of empathic transference? 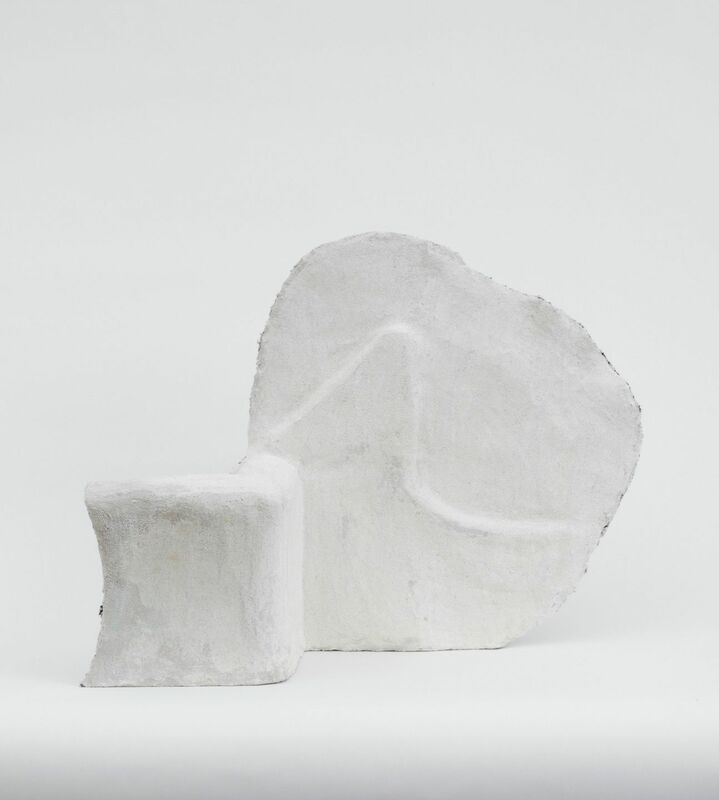 How does the haptic energetically connect bodies to one another, as well as to sculpture? Recurring allusions to armor and clothing suggest the barriers placed between a body and the world, whether for protection or seduction – yet these barriers are far from impenetrable.